CRYSTN HUNT AKRON aka Christine Hinterkörner is a music producer and artist in the fields of contemporary, electronic, experimental music and performing arts. Graduate at the Anton Bruckner Private University Linz AT (2006) in Jazz and Popvocals and Music and Media Technology. She composes and sings for various music, theater, dance projects and sound installations. As a music producer and composer she prefers industrial noises, coupled with dramatic and minimalistic sounds. The prepared grand piano is also used in her work. She is particularly fond of recording broken instruments, everyday objects to breathe new life into them and to create a new world of sounds. CRYSTN HUNT AKRON alias Christine Hinterkörner ist Musikproduzentin und Künstlerin in den Bereichen zeitgenössische, elektronische, experimentelle Musik und darstellende Kunst. Sie ist Absolventin an der Anton Bruckner Privatuniversität Linz AT (2006) Jazz und Popvocals und Musik- und Medientechnik. Sie komponiert und singt für verschiedene Musik-, Theater-, Tanzprojekten und Klanginstallationen. Als Musik Produzentin und Komponistin bevorzugt sie Industrial Klänge, gepaart mit dramatischen und minimalistischen Sounds. In ihrer Arbeit kommt auch das präparierte Klavier zum Einsatz. Besonderen Gefallen findet sie im Aufnehmen kaputter Instrumente, Alltagsgegenstände um ihnen neues Leben einzuhauchen und eine neue Welt der Klänge zu kreieren. Eine überbordend desaströse Revue von Performancekünstler, Musiker und Autor Patrik Huber. Aufgeführt im Rahmen des Tanzhafenfestivals Linz 2017. For the composition of the performance "End Of The Rain" Crystn Hunt Akron was concentrated on the well balance between spoken words, language and music. A good feeling for the interaction of the individual components was required. As a sound foundation, Crystn Hunt Akron uses heavy industrial sounds paired with acoustic drums, prepared broken grand piano noises, pulse, rhythmic and a non-rhythmic in an equal interplay. The composition for this performance was to find a way to support the interdisziplinary components between dancers, performers, actors to make the abstrakt way visible. Intensification of emotions and in the next step transforming them into a physical language. The sound of Crystn Hunt Akron works like a bottom for this canalisation. 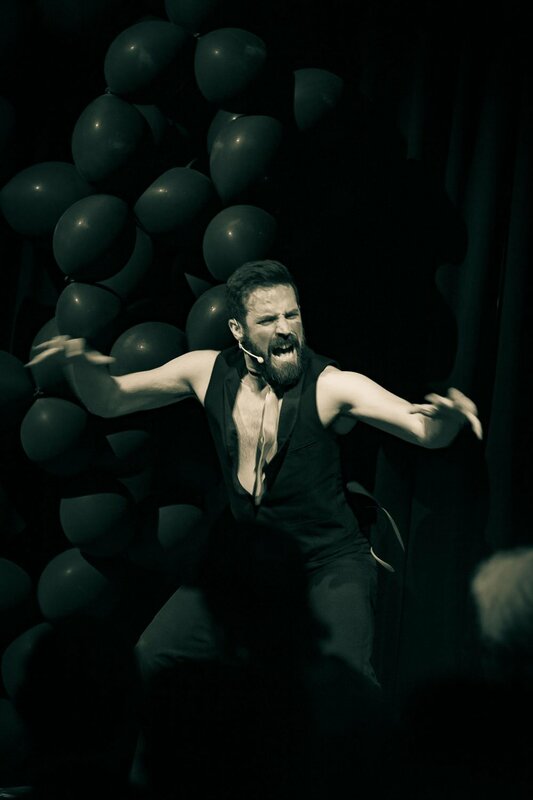 The art book "Poems for Anarchy" contains 50 poems written by the performer, theater actor, writer, singer, director Patrik Huber and 50 photo Artworks by Photographers from Austria and Spain. The poems were also implemented musically with different musicians, including Crystn Hunt Akron. For the composition Crystn Hunt Akron used on the one hand mostly piano sounds and composes in a very simple songstructures to keep it raw to reflect the intensity of the lyrics of the book and on the other hand she used experimental electronic sounds. Easy but deep. A track of MADAME HUMTATA´s Studio Album "Fat Black Spider"
Fump aka Clemens Pichler is a musician, composer and producer - plays for Austrian and German projects at home and abroad, a. Hans Söllner, Laine, Madama Humtata, Fump, Trio Reflections, Brunowurstelvonwunster, Frank Hueber. From 2003 to today, eight CD / Vinyl releases were produced. The in New York based musician and music producer Panagiotis and Madame Humtata met each other at a traditional Greek Tavern with delicious food on the Island of Donussa, where Panagiotis Father is the owner of the authentic Greek Tavern. AMB is an electronic music producer based in London. Madame Humtata and AMB met each other during the Festival Performa. 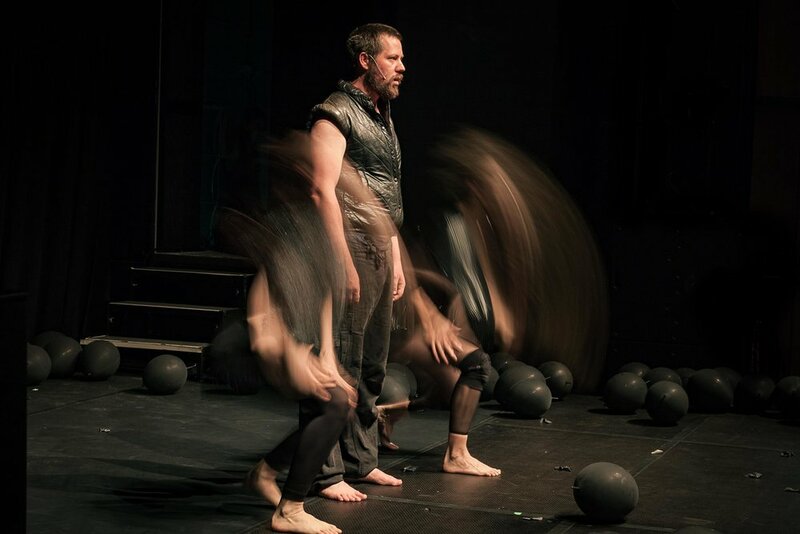 Performa is a multidisciplinary non-profit arts organization dedicated to exploring the critical role of live performance in the history of twentieth century art and to encouraging new directions in performance for the twenty-first century. Part of Performa’s mission is to present a biennial of visual art performance in New York City that illuminates the critical role of performance in the history of art as well as its enormous significance in the international world of contemporary art. 2010 the debut album of Crystn Hunt Akron aka MADAME HUMTATA is released. Produced by Michael Hornek, Vienna. Label monkey music Vienna. Lyrics & composition by MADAME HUMTATA. Out now on iTunes, Apple Music, Spotify, Amazon and more! There are two souls in her breast: MADAME HUMTATA sings about the inner struggle with herself, the charm of evil, and the forceful act to rebel against it. Where the fox and the hare say good night, the trees are bent. And in gruesome-beautiful pictures, the idyllic tipping slowly into the horror. Are there „real“ answers or do we only project them into our head? Are we lonesome individuals in need of protection, or multiple creatures driven by egoism? Addicted was shown at: Kunsthalle Wien (AT), Project Space Cafe Druzba - Harrachsthal (AT), Ars Electronica Festival 2011 (AT), Stadtwerkstatt Linz (AT), Drap Art - Festival Barcelona (ES), Teatro Calderón 2012, Alcoi (ES), L´Antic Teatre, Barcelona 2012 (ES), Diagonale Graz 2012 (AT), Topkino Wien 2012 (AT). Rental Agency for Addicted: Sixpackfilm Vienna. "The moon is eating the sun and everything is burned down, my tears are stories searching their way back home"
Lo-Fi mobile phone camera produced video. In the interdisciplinary Project Blackbox the artists formation The Guinea Pig Collective - Iris Heitzinger, Dietmar Suoch, Crystn Hunt Akron critically looks at multimediality. 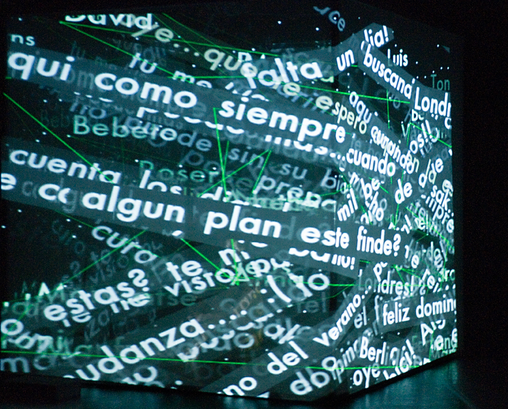 In an interactive installation, which combines performance arts with audiovisual art and new media technology, modern mechanisms of communication are interpreted and questioned. The central focus lies hereby on the question of intimacy in virtual spaces. The project combines theoretical processing and the artistic realization in a direct realationship to each other just as much as the topicality of the theme and the interactive and interdisciplinary approach. 2009 Blackbox was honored with the Podium09 award of the county of Salzburg for their Installation project Blackbox. The performance Blackbox will be supported and hosted by the festival Basics 2010, being produced in collaboration with ARGEkultur Salzburg AT. Blackbox was shown at: La Caldera Grec '10 Barcleona, Teatre l'Atlàntida de Vic ES, Dansa Ara ES, ARGEkultur AT, La Caldera Barcelona, Kosmos Theater Vienna AT, 2010 tanz_house Herbst 2009. "Grilled Mermaid" is a large street piece where street theater and dance is combined and work in open spaces with large structures. "Sirena a la plancha" is an order of the Zaragoza Expo, whose theme revolves around the scarcity of water and the female management of this necessary resource. Sol Picó, creates a fable by a Giant Mermaid (8 meters) that tries to save the world from the worst of droughts. 2009 MAX - Award of the Performing Arts - Best dance performance for "Sirena a la plancha"
CRYSTN HUNT AKRON composed the soundtrack for this 1 hour dance theater show. She uses traditional mexican mariachi sounds and combined them with electronic industrial sounds. In addiction to the composing, Crystn Hunt Akron also has been singing at the live shows. Performances: Touring in Europe and Asia. "Las Doñas" is a performance piece in which three women interact: we find dance interpreter Sol Picó, in Plastic Arts Elvira Granados and live musician and singer Crystn Hunt Akron. This work is unique it has been raised in an open way. Each time it is done, the result will be different. Painting and dance combine to show us the conflict, the clash, the confrontation between the universes of each of the artists. CRYSTN HUNT AKRON composed the soundtrack for this 1 hour dance theater show. She uses music tracks from the genre "alternative" and combined them with electronic industrial sounds. In addiction to the composed music Crystn Hunt Akron also has been singing at the live shows. “Short study on Nothing” is a whole-hearted venture, an experiment between performer and audience. 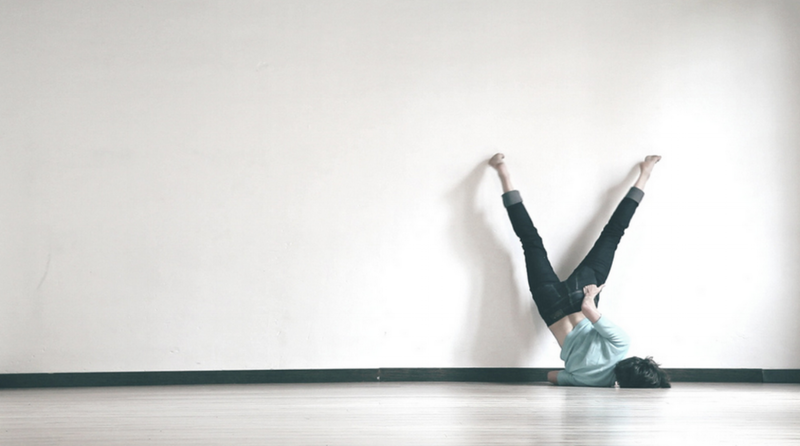 The choreographer and performer Iris Heitzinger focuses on the present moment and it’s continues flowing towards memory. Her point of departure is an attitude of unintentionality in order to savour each moment in it’s emergence, presence and passing and to invite the audience to experience this cycle with her. What remains are traces of the occurred in our memory. Crystn Hunt Akron composed the music for the danceperformance "Breve sobre la nada - Remix". With 2 microphones she recorded sounds from a prepared concert grand piano and improvises in the here and now. The sounds are used as they are at the moment. Raw and unprocessed.